I have loved the look of deep, dark nails ever since buying Boots 17 "Dragon's Blood" nail polish in my teens. There is just something appealing to me about reddened blacks against skin. It's also a colour that hides a multitude of uneven nail sins. 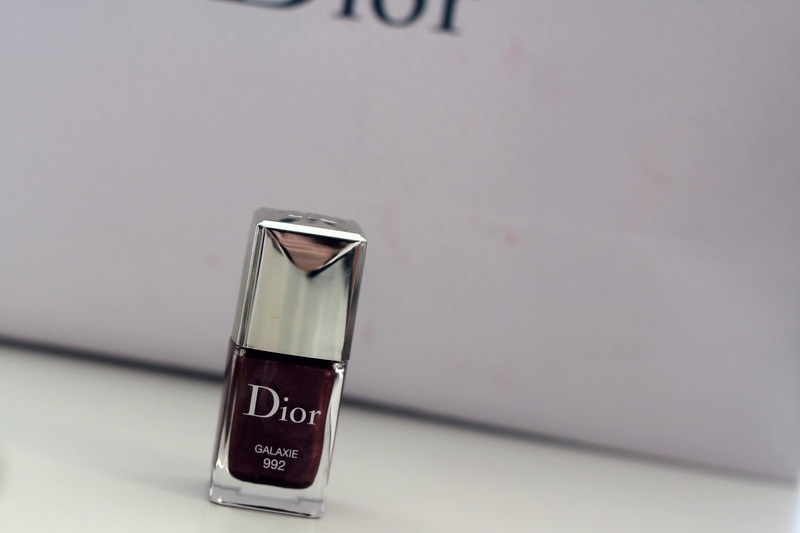 This is part Dior's Autumn collection and it's a gorgeous plummy shade laced with pink shimmer. There is a slightly metallic finish to it which doesn't always excite me but I think dark shades get away with it quite well. The lighting in these pictures does not accurately reflect the gloriousness of this. Take it out into bright sunlight and it's a different story. This blog post will give you a good idea. * Hiding from the heat/humidity in my house or in my office at work. * Waiting for Ramadan to be over. I have no idea how people fast here - it's amazing to have that much faith and determination really. The only impact it has had on my life is that my favourite coffee shops and cafes are closed during the day. I know, I know: "cry me a river". Love the nail colour, I'm also a fan of dark nails. Such a pretty shade! It's perfect for the A/W season! I've always wanted to try bikram yoga, sounds amazing! I adore Bikram yoga, it's amazing! This colour reminds me of a Chanel I have called Malice - gorgeous! I love these dark shades on the nails too, especially for Autumn! This looks gorgeous! I'm wearing mainly corals and bright pinks at the moment... Essie 'Cute as a Button' is still going strong! Fitness has been a big part of my daily routine as well, I feel super motivated! I've heard about bikram yoga... you go girl!!! This colour is gorgeous. It has got me excited for all my autumn nail colours. I love China Glaze Stella. I have started Bikrim yoga recently as well. I like it but not sure if I love it yet. Hard to breathe in there! lol Let me know how it gets better. Laura, Was so glad to see a blog post from you :D I was checking your blog everyday! Even though I hate that we are delving into the A/W collections, this is so lovely. I don't want to say goodbye to summer but I can't wait to go into burgundy and forest greens and knitwear and... getting carried away! 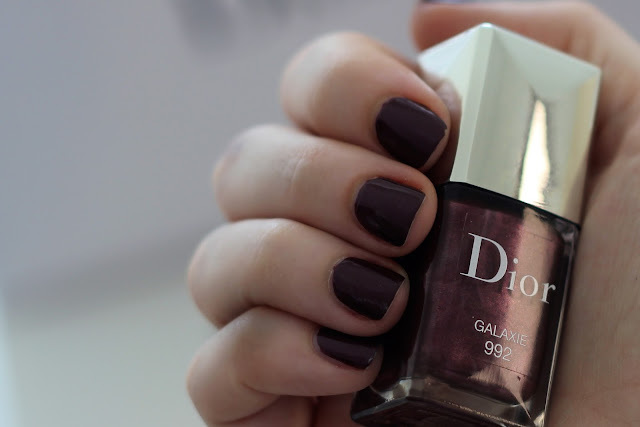 Thank you for the link :) It's a gorgeous shade, perfect for autumn...or any time. I love these dark shades! Dragon's Blood, now there is a blast from the past. I love vampy colors like this, it's so pretty!! Im always nervous using dark colours on my nails - but this looks great for autumn. can you add me on bloglovin please. Love Dior's shades. This is such a beautiful colour!! I've been interested in hot yoga! Please post about it?! Your sole saving grace will be updos, pins, hairspray and 'messy buns'. Because the alternative is just exhausting. ps. be careful with caffeine the days you do Bikram. I nearly fainted! I love the fat brush on Dior polish's and the color... so nice! It reminds me of Chanel Malice that I absolutely love! 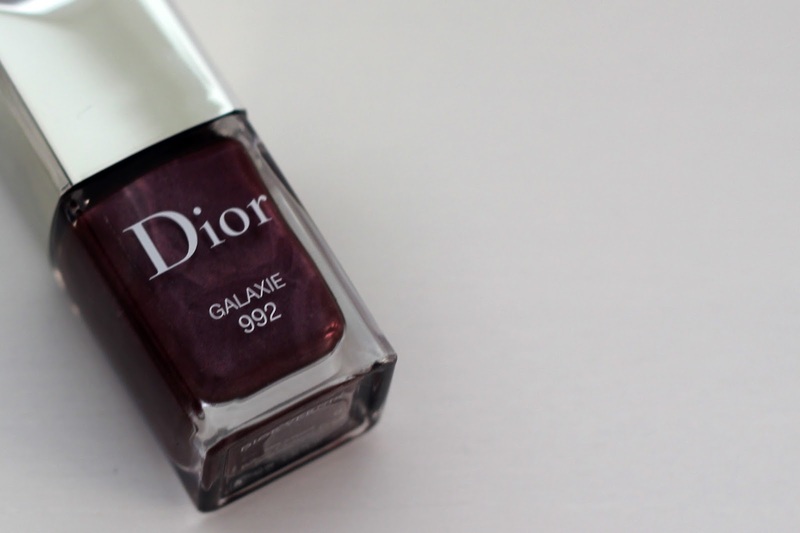 I do, however, prefer Dior polishes over the Chanel ones. This is totally my kind of colour! Can I be a party pooper and tell you that Bikram yoga may be good in the short term but it's really bad for fertility. You might or might not what children but I thought I would let you know.